Trade Show Shipping Done Right! Leave your trade show logistics to The Packaging Store, and spend your time making the connections your business needs. Some Handle With Care Packaging Store locations offer Trade Show Logistics. Contact your desired location to inquire if this service is offered at that business. Leave your trade show logistics to the Packaging Store, and spend your time making the connections your business needs, instead of packing and shipping everything home. 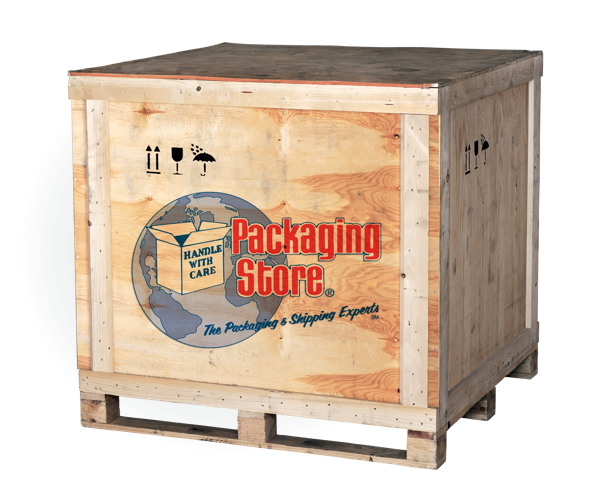 The Packaging Store's trade show shipping team has one goal and one goal only: to free you up to be the representative your business needs to grow and prosper. With our expert packing and shipping services, we take care of all of the post trade show breakdown, leaving you time to make the deals that will ensure the kind of dynamic sales you want for your business. At the Packaging Store we are the trade show movers who have come to understand through our own experience at trade shows how much of a headache the trade show circuit can really be. You can easily spend all of your time getting ready, making sure your merchandise has arrived safely, just to break it all down, pack it, and ship it a few days later. Then you hardly have time for the kind of networking that is the bread and butter of the trade show scene. So we decided to become experts in trade show logistics, too. Let the Packaging Store step in and handle all of the trade show freight details so that you can concentrate on the reason you came in the first place: growing your business through new connections. If it's time to consider trade show logistics, go with the trade show movers who care as much about your stuff as you do: the Packaging Store!